Thank you, Elise. I’d love for you to pray that I can learn how to balance life being a wife, mom, friend, and business owner, and do it with grace! I certainly could use the help. Thanks again. Please pray that our Birthmom has the courage to give us her baby to raise. All of our babies are on loan from God, my family yearns to love and provide for God’s babies. I’d like to pray in thanksgiving for our precious baby, Finn, that God has already given us. Praying for you and your beautiful family. Elise, I love reading your posts and hearing your heart. I think of you every single day. I talk about you every day and I feel that this is a total selfish prayer but can you pray that we can move home to Covington so my children have the ability to be with family, cousins and friends that love them. I pray they have the life that we had growing up with great Christian schools and amazing warm people. You just don’t know how special Covington is until you are gone for so long. I am so blessed and have a wonderful life just really miss home and hearing and seeing all of you makes me want to be there. Of course I am prayin double hard for this one! I want y’all back! 😉 Not selfish. Just a mama who wants faith and family for her kids? Ain’t nuttin wrong wit dat! Elise, you are such an amazing mom and friend! I am asking for a prayer to help me with caring for my mother who has just moved to covington. She isn’t well and it’s like taking care of a disabled child. I’m all alone in it as I am her only child. Prayers are definitely needed. I also saw two rainbows already this week so I know everything’s gonna be alright:)))) my prayers are also with you and all of your family. Up w upset stomach & lifting up this I intention still for you. I know it was a while back, but meant for you to know that you are not alone. I think those rainbows were for you, my friend. GOD has your back. I love ya, Christian. Always have. Hang in there, Mama. I can’t figure out how to email you directly, so I guess God’s telling me to put it out there. Thanks first: thanks to God for my beyond wonderful husband, for our first home we just bought together, and for how awesome my family is!!! We have been married almost three years, and have been trying for a child for the last two, to no avail. If it’s God’s will, that’s what I’d ask you to offer up for me. Or at least for patience and a little grace in the interim. This Louisiana girl is praying for you and your family up here in Nashville. I’m on it, sarah! I just know God is blessing this time for you and your hubby right now to be stronger than ever, but I also know it’s got to be hard as all get out. In God’s time, in His will . That’s all we can pray for. That’s the thing. From one Louisiana girl to another… I’m totally rootin for a little Cajun baby! We are working on our third adoption. Please pray that God will bring us the child meant for us. God has blessed us immeasurably with our two kiddos – can’t thank Him enough. We are praying for you and your awesome family. God knows just the child for you. I have to remind myself always that my children, although not “adopted” are on loan to us from HIM. They were His first. He chose us to be their parents. He chose you to be the parents for the 2 you have and He will choose rightly again. I will pray for the whole process to go as smoothly again. God bless you all for your generosity and such openness to life! Elise I love reading your posts. You put into words so many of my feelings. I too a battling breast cancer….10 years total of which 7 I was the magical cancer free. But it came back with a vengence and these last three years have been difficult. Prayer does help me through tough times of feeling bad or just having a bad day. I can always think of people to pray for (including now you). I truely believe that getting through and surviving you need these things: Faith, Family, Friends….and a really good doctor. I would love it if you would include me in your prayers. Hi! Elise- it’s Heidi Fisher. I’m praying for my dear friend, Debra. Monday morning is her double mastectomy. I pray morning and night for her… and you too! I’m grateful for the love and influence Debra has had in my life. Wouldn’t be who I am without her. Debra has my prayers for sure. 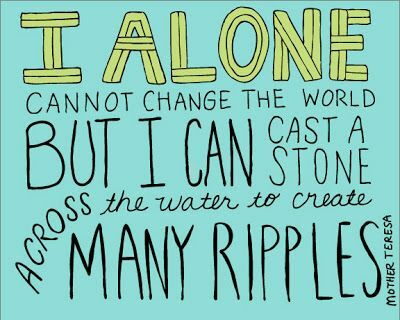 Elise, thinking of you and praying for you everyday. What an example of joy amidst suffering you are. Please lift up my mother, Grace Farthing that is progressing in dementia and for a way for me to visit her more than once a year. prayers for a healing and a joy, a lifting of spirits of depression and heaviness…. a light to shine in on your entire family from generations past to today to be filled with GRACE. Much like the “Grace” you can be filled with enjoy and truly to see the childlike simplicities of someone with dementia in your “GRACE” and give back to her in her time of need. I pray you can have those special times with her. My grandmother is suffering with the same. It’s up and down and unusual. But can also be very sincere and touching. I don’t get to see her often, but when I did, last weekend, I had one very lucid, enlightening conversation that will stick with me forever. My prayers are with you. If you would pray that our move and transition back to California is a smooth one, I’d really appreciate it. I’m so grateful for God’s providence in turning our situation completely around this last year.. in all areas of life! God is good! And thank you in advance for the prayers! Moving a family definitely takes a lot of sweat and more holy spirit! U got it, marchelle! I am praying for my best friend Laura R. She is pregnant again after 6 losses in a row (she has 4 living children). They thought it was from a clotting disorder but aren’t sure now. Now for giving thanks.. I give thanks for the gift of being able to make public vows to live the evangelical counsels within the married state within the Holy Family Institute. If anyone should be familiar with the HFI it is you- hfiusa.org -you can consecrate yourself even further to God in this time ♡ The rosary I prayed for you on 9/20 was the first one after I made my vows. I chose that date specially for you, you know, so you could benefit from the prayers of a good consecrated person. ..I didn’t have much time to mess up at that point!! Hah! Love you, Girl. And yo Mama too! What a special prayer offered. Thank you, celeste!!! So beautiful. I will be lifting up laura. I know well the loss through miscarriages. We lost three babies after our son. But God gave us 2 blessings when the time was right. God’s timing. His will. Her health in His hands. Your struggles are being offered up here as well. God’s got this! Please pray for a school family of mine. Their 18 month old, Isabella, is on life support due to a pool accident. Pray for peace and unity in this family and if it’s truly God’s will…a miracle for this baby. I will definitely remember Isabella in my prayers, as she and my oldest have the same name. God be with this little girl, may the angels whisper to her in her sleep, may Mary’s motherly mantle wrap around her and give her comfort, and the holy spirit give her breath in God’s timing if it be His will. I’m Kristen and I found your page through a friend on facebook. We’re currently in the process of adopting from foster care and are passionate about finding families for every child. Would you please pray for all the foster children who do not have permanent families? Pray that they might find families, that they might have hope, and know that God is with them. Thank you! I am thankful that God is gradually showing me how to see with His eyes. What a beautiful calling! Thank you for inviting me to be a part of this prayer. I know a few families that have adopted in the past few years and their lives have grown and changed in ways they could have never imagined and it is stunning! I will pray for many more hearts and homes to open for these children and a peace in their hearts in the meanwhile. May Mary wrap her motherly arms around them while they wait, and let them know they always have their heavenly mama near with their daddy in heaven in their hearts… always. My prayers with those children, their future families, healing for their past families, and for your in reaching out! Elise you are amazing and such an inspiration to me! Your courage and determination to stay positive (even though I am sure it hard sometimes) are such an awesome encouragement and reminder to me in my small trials! Thank you for including everyone on this journey. I would so appreciate it if you would pray for my oldest daughter Fiona. She has a form of social anxiety called selective mutism and it has been such a struggle for her (and me) over these many years trying to find the right treatment and make any progress. We are staring down middle school next year (AAAAAHHHH!!! too big!!!!) and I am really really hoping and praying for a break through/ healing this year with talking in class, to her teacher, to her friends, in front of the class, you name it. I would also like to thank God for whatever He doing in my heart and life right now. I’m not sure exactly what it is and some of it is coming about through heart break but I can feel Him shifting things around and re-building and I know He is at work. Aslan is on the move! ha! I love that, “Aslan is on the move!” Ya know, you can buy a t-shirt on my friend’s site (the link on my blog, “Transforming Beauty” that says that very phrase. so cute!) Trust that instinct that God/Aslan is on the move in her, and is working in her, but that you are still the mama and will still be a part of the team with her teachers, not completely out of the loop. It’s scary, but in baby steps, big things can happen. You just never know. I will pray for a healing, peace and courage in he heart as well as in yours. As a momma, I know whatever plagues our babies, plagues us. If they have it, it’s as if we do too. May God bring a peace and healing and Aslan-like courage in you all! Thank you, thank you, thank you, Elise. God is using you in such amazing ways. Thank you for your faithfulness. My constant prayer is for my father-in-law, Adolfo, who has lived with and continues to daily live with pain beyond my understanding. His body and soul are so weary of this life. I believe that his suffering is what is going to get the rest of his family into Heaven, but he needs some outside strength, too. Bless you for offering your suffering for others. 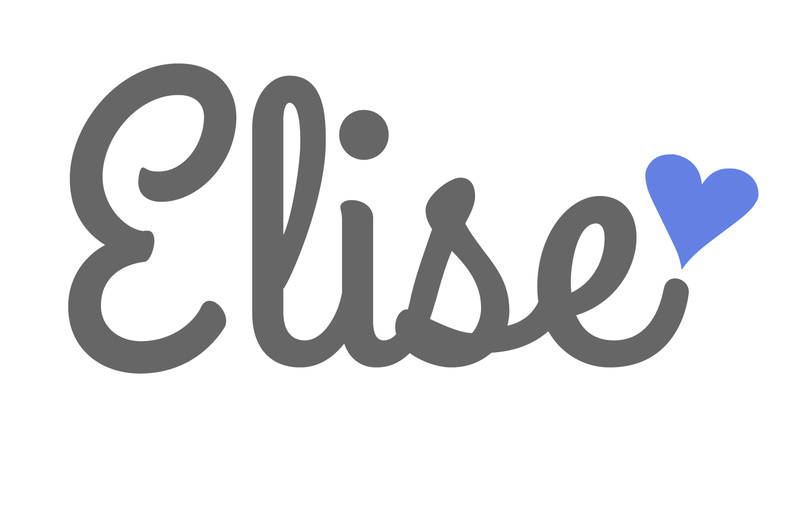 Thank you so much, Elise, for offering up the intentions of others through your suffering. I’m utterly humbled by this. I feel selfish in asking this, but I’m going to ask anyway. Please pray for benefactors to come through for The Gianna Center of the Gulf South. I don’t want any couple to go through the pain of infertility, but if that is their cross, a center like this is desperately needed. Everything is in place (physicians, staff, mission etc…), all that missing is the money! You and your family are in our prayers daily. May God grant you complete healing. Selfish??? Laura, did you really say selfish?? You are asking for something so amazing so selfless, I am in awe of what you have put together and are striving for in this Gianna Center! Thank you for reminding me and all of us of the funding that is still needed for such a much needed place. There are so many women that could benefit. Thank you for your prayers as well. I pray for my dear Grandparents that have yet to experience God’s amazing love. They are in their mid-80’s and I have faith that God is tuging on their hearts. Let them feel His love like nothing they’ve ever experienced before! Amen. Thanks for sharing your story in order to help us all! I’m sure the example of your prayers are more than you know to them. God plants seeds that we have no idea about. trust in the power of your prayer and I’m happy to be a part of it and add to it. it’s never too late! Praying for you daily, Elise! I think about you all the time. I would be so grateful to you if you could remember my siblings in your prayers. Especially for those that struggle so desperately with addiction and for all of us as we continue to grieve the loss of our parents. Thank you so so much! You got this, girl! May angels comfort you in moments of fear and anxiety. Hey Elise. We are covering you, Jason and your beautiful family in prayer everyday. May Blessed Seelos also continually pray for you guys too. Please join your powerful prayers to pray for the intentions of our Prayer Vine. We gather prayers from all over the US daily and then redistribute them daily for all our prayer warriors to remember during their day in prayer and ‘offering up’. 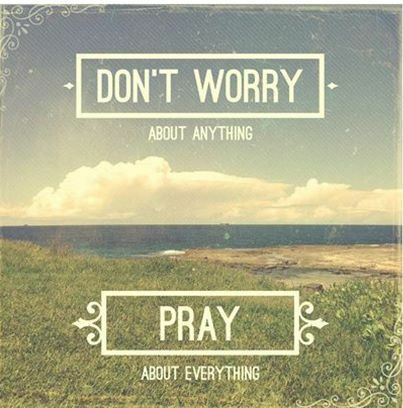 We could certainly use more prayer coverage and we know that you are a great ‘pray-er’. – please pray for this mother and another one posted earlier: http://www.aholyexperience.com/2014/10/dear-brittany-why-we-dont-have-to-be-so-afraid-of-dying-suffering-that-we-choose-suicide/ pray Brittany and the mother who responded to her, Kara! You will love both of these stories…they will inspire you and strengthen you in your journey I am sure and you can pray for them also…Thanks for your courage and sharing your journey..Continued prayers for you. Soooo beautiful God is at work in them. I will keep them and their families in prayer. It’s a like a strange sorority that we are in. We never asked to be in it, but we’re here and we support each other like family, like sistas! Thanks for sharing! Clint and I are praying for you and your family daily. You are such an inspiration. Thank you for sharing your journey and your spirit. In Jesus’ name. thank you, Sheryl (and Clint). You’re prayers mean the world to me. We continue to keep you all in prayer as well! Much love and blessings right back to you. You and your family have been put in to my mental “Spiritual Basket”. I bring it everywhere , offer it up during mass, adoration chapel or any other time. Those intentions are never taken out, there maybe some that have sifted to the bottom but they are always there! Please pray for my family that we continue to grow in Faith, Hope and Love. I am thankful for everything that God has touched His awe-inspiring finger too! Carol Burnett!!! My comedic idol and icon!!! And Tim Conway?!?! To just be a fly on the wall on set with them. Especially when they couldn’t keep it together to save themselves. How could they? Thanks for the laugh, and, as always, thank you for the prayers. I am so thankful to be in your “spiritual basket”! God is on fire in you, girlfriend! I am in awe of you and so grateful for you. You have inspired me tenfold, you have no idea. You’re openness here alone speaks volumes for you, for me, and for so many. I will keep you in my heart all day, all night. Thank you, Tutt. And coming from family, that really gets me to the core. Thank you for always having my back. You’re a solid guy with a genuine heart and I believe every word you’re sayin. Truly, we WILL come out stronger. I believe. I wanted to tell you how inspired I am by your strength & courage as you battle cancer. As I battle my own medical issues, I find myself frequently reading your posts to give me inspiration & strength to make it through some of the more difficult days. I ask that you keep me in your prayers. I have battled heart disease since I was a child,having had 2 heart surgeries since the age of 6. Now at the young age of 34,with 2 young kids, I find myself yet in another “battle”. My heart is slowly enlarging & now to the point of causing symptoms on a regular basis. I am in the very beginning stages of heart failure. The doctors are trying to manage me with medication at this point. I am not sure where this road will take me right now. I have some good docs working with me & doing their best to keep me as healthy as possible. I pray daily that God gives me the strength & the energy to make it through the day with 2 very active children ( I can’t image how you do it with 5) and that my heart “behaves”. If you could please keep me & my family in your prayers it would be appreciated. Thank you, Kari, for reading and sharing your struggles with me. You’re opening up to me takes courage and strength, which is just as inspiring to me, as you described my posts to be. We can pray for each other… Us young mamas need to have each others back. What better way than through prayer. I got your back, girl. Prayers for your heart both in the medical sense and in the spiritual sense that God give you the peace and strength to enjoy your family and be the mommy that I know you want to be. Cast it all over to God, He’s got you. Dear Elise, Thank you so much for sharing your amazing courage and strength and beautiful perspective with me. I mentioned to my mom that reading everything you have recently written has changed my life. I told her you taught me a new way of living that I’m still trying to comprehend but am sure is bringing me and those around me joy and meaningful focus. She asked me if I told you. Elise, thank you for being a wonderful teacher. You have inspired me in the deepest way. Thank you. I’m trying to find my voice in prayer. Will you pray for me to find my voice? Casey, you have literally brought me to tears of pure joy this morning. God is so good. Holy cow! I mean holy God. 😉 I am not the one doing a thing. Its pure God. I, like in “Horton Hears a Who”, am just a speck. But I guess God can plant a seed and speak even through a little speck. He’s talking to you! Be a speck! “A person’s a person no matter how small.” He clearly knows how imprtant YOU are….HE’s talking to ya. How cool is that. To use your voice, just starts with “Hi!”. PS. Forgot to add my thanksgiving! !I am thankful for my awesome family and support system as well as both of our clean scans!! I’m asking for prayers of healing for my sweet cousin, Robin Sanford, who is in the hospital fighting a serious infection after her double mastectomy for Stage 3 breast cancer. I’m so thankful to have grown up so close to my cousins and she lives far away and it is difficult not being there to offer help with her children and household things. Thank you so much. Thank you, Elise, for your prayer wall, and your willingness to pray for our intentions! As you know, things happen, you are surrounded by prayer which is an amazing feeling and then things get better… Thank GOD! But physical, mental, and emotional healing still occurs “afterwards” and sometimes this is the hardest! You know our story, and in the mist of your own battle, you prayed for us. We will continue to pray for you and your family. I ask that you continue to pray for healing in all aspects for all of us in our family. I also ask for prayers for me, to guide me in being the best Mom for my two teenage boys. It’s a very gray area trying to do things right, balancing “our story”, and taking in just the fact that I am raising two teenage boys. I want to make the best of my last few years with them home, teach them all the right ways, raise them to be Godly menu and make every memory last. I often feel like I am failing… So prayers would be great!!! Love ya! you’re an amazing mom, kim. I know all about the challenges of life “afterwards”. It definitely can feel harder. You’ve built one very strong foundation for you boys and the faith and experiences in your family, although challenging as all get out, will be embedded in them forever and help them when push comes to shove. in the long run, the way you all clung to God to push through the greatest feat of all of your lives was the best parenting move EVER. no book or class can teach that. but you did it. no it’s just time to keep on clinging even in these roller coasters of life as we know it… life out of the hospital calls for the same kind of grip on God. I’m on it, offering you up! God can move mountains, he will hear and answer your prayers as He knows best. But He is with you! For my parents. For God’s will to be done in their life and healing for any wounds. Hang in there, girl! I talk about you all the time. You are always in our prayers…so much so that our children think they know you. Hopefully, they’ll get a chance to someday actually meet you! Love ya. Check and check on the prayer intentions 🙏. Sounds like we’re going to need to schedule a family get together sometime soon. I would so love that! Elise, please pray for Jeff and Melissa Funk and their sweet baby now in heaven with God! For my friend, Cyndi, just diagnosed with breast cancer. Prayers with Cyndi, her docs, family, and her friends. Thank you for your prayers! Please pray that we are inspired to pick the right school for our kids with learning differences. Also please pray for our adoption journey. We have been on a list for 8 months and trying to wait with patience and trust. So thankful for the gift of our faith! You are in our prayers! I stumbled upon your blog through a link shared by a friend. I am also a FUS alumni so our paths may have crossed at one time. My mom needs lots of prayers. She is battling stage 4 lung cancer and it has most recently metastasized to her brain. She begins radiation for it this week. We pray for your healing as well and your blog reminds me to remember that my family aren’t the only ones affected by this awful disease. Danielle, thank you for sharing. I will keep your mom & your family in my constant prayers and offerings. Nothing is too big for God. Nothing. 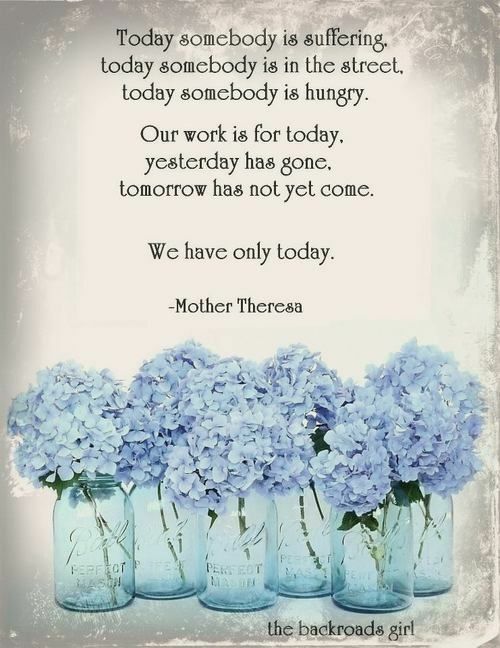 God be with you all today, tomorrow, forever. Elise, this is Teresa Rodriguez Morales. I have a request for prayers. Korie Beth, a friend’s family member, is being sent to oncologists is Nashville. The Drs in Tupelo found a mass on her C5 vertebrae and it is causing numbness and pain. She is only 22 and she and the family are asking for prayers. I figured no one better to ask to add to their prayer wall. Much love always. You got it, Teresa!! Thank you for sharing this! 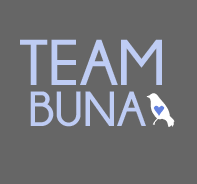 All Team Buna readers/warriors, please lift this woman & her doctors in prayer!! For my dad, Gary Norris, who had quadruple bypass surgery this week and is having some brain fogginess and confusion. For continued physical and mental healing as well as strength for all of us caring for him, especially my mom Patty. Love you Elise!! Continued daily prayers for you as well!!! I pray for you every day Elise! God is with you….ALWAYS! Please keep my husband’s job search in your prayers if you can 🙂 Lots of love! I can’t help it I’m praying for your beautiful self. But, to help you keep your mind off of things could you pray for Michael D #mightymichael #36 the SPS football player with the Neck injury. He is so positive and fighting strong to regain mobility. God is good. I’m so thankful and grateful for my second chance. Always praying for Michael!!! Thank you for keeping him on the forefront of our minds. God can move mountains!! Hi Elise. Please know you’re in my prayers along with your precious family. Please pray I have comtinued strength and faith to work through my marriage with a sexual addict. We have been through years of counseling and groups. God has blessed us with a strong faith and love. However some days are harder than others. Pray that my children choose their friends and spouse wisely. 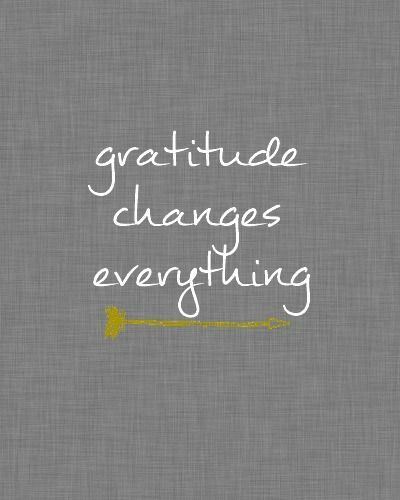 And we continue to be grateful for every struggle we have to indure. Thank you so much for your prayers and Godly example. Elise, can you pray for my sister in law that was just diagnoses with Aplastic Anemia. She is undergoing Immunosuppresive therapy and infusions every other day. She’s going to be undergoing chemo and eventually a bone marrow transplant when a match is found. She’s got two beautiful boys and her husband works out of town. Her name is Paige. She’s in need of your wonderful prayers! Thanks my beautiful friend!! I can’t believe I didn’t think of that! You are so awesome. I will send you her info. Thank you so much sweet friend! Please pray for my Mom. She was diagnosed with breast cancer two weeks ago and a dear friend led me to your blog. The Lord is moving, and he’s got her entire diagnosis under control. Praise the Lord of the miracles he’s working. Thank you so much prescient that with me. I will surely keep your mom and your entire family in my prayers. 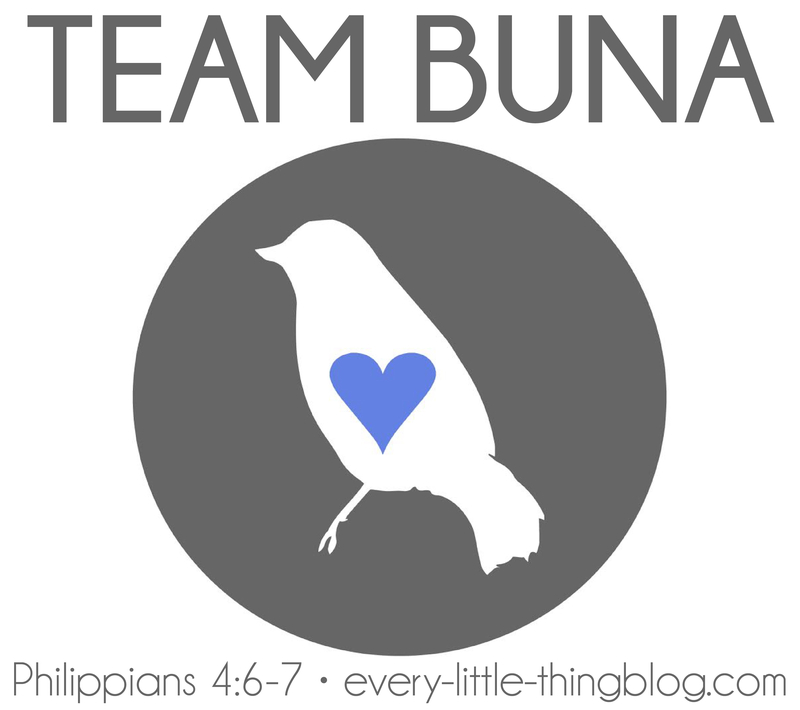 I would love to send a care package from our “BUNA’s Hope” nonprofit. It would be for your whole family to enjoy with a little something extra for your mom personally. On your journey please raise up my grandchildren who are battling various addictions. My heart is breaking and I love them so much but prayer is my only weapon and every other person who can help break the chains gets us one step closer. God bless you with his mercy and love and may the Holy Spirit infuse you with strength and courage. You have a soul full of faith and a heart full of love…your blog is so inspiring. I know Dr. Saux and he is a wonderful person and a skilled oncologist…best pirate on the NorthShore! Praying for every good thing for you and your beautiful family.